Chris Pratt, Zoe Saldana, Dave Bautista, and the voice of Bradley Cooper are ready to return to theaters in the sequel 'Guardians of the Galaxy Vol. 2' and to prove it Marvel released a poster and teaser trailer Wednesday morning. 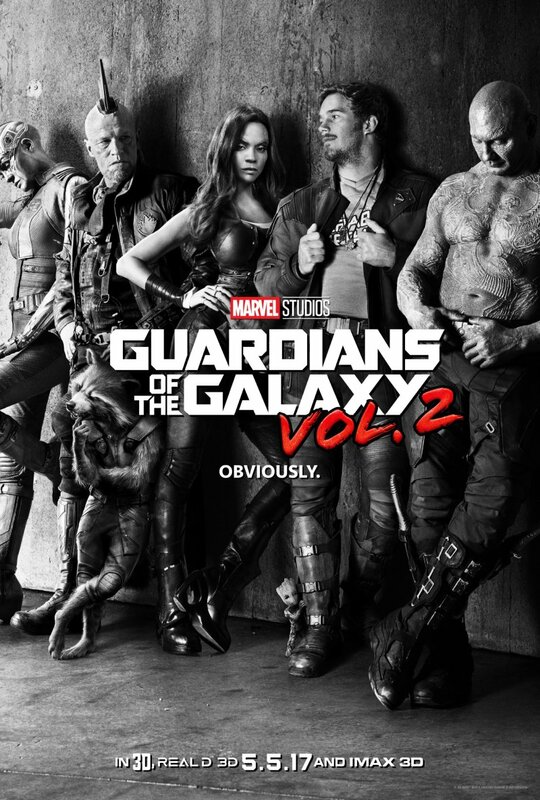 The teaser uses the Blue Suede’s "Hooked on a Feeling" as it did to promote the first hit movie in 2014. 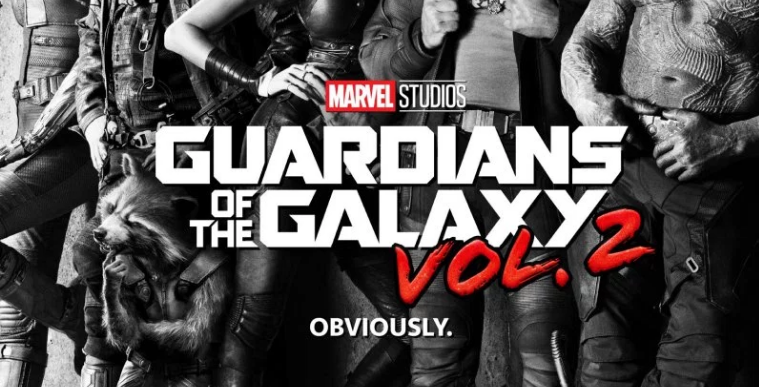 The tone is as light as the first film with plenty of humor and action from Gamora (Saldana), her half-sister Nebula (Karen Gillan), and former baddie Yondu (Michael Rooker). Drax (Bautista) consoles Quill (Pratt) and offers some love advice,"You just need to find a woman who's pathetic...like you." And not to worry, Rocket Racoon (voiced again by Cooper) is back as well with baby Groot in tow. The great black and white poster is not the cover of a rock and roll album but a good relaxed look at Marvel's most unlikely band of intergalactic heroes. What we didn't see are all the other members of the cast of 'Guardians of the Galaxy 2' that includes Pom Klementieff, Sean Gunn, Glenn Close, Elizabeth Debicki and Kurt Russell. There’s also a cameo from Sylvester Stallone. Guardians of the Galaxy Vol. 2 opens in theaters on May 5th, 2017 and is directed by James Gunn.